Tucked behind the movie theaters, the Rite Aid, and the Denny’s in Oneida lies a bit of history. It is an exploration of that history that is the focus of a new exhibition at Colgate University’s Picker Art Gallery Braidings and Benches: The Oneida Community and the Arts and Crafts Movement. The Oneida Community was a religious utopian society that existed from 1848-1881. It was based about 20 miles north of Colgate’s campus in the Mansion House, which is now a national historical landmark. Founded by John Humphrey Noyes, the community reached 300 people at its peak, and was regarded as one of the most financially successful and longest running religious utopian societies in 19th century America. On Thursday, the Picker Art Gallery hosted a lecture about the community and an opening reception for the exhibition, at which several descendants of the Oneida Community acted as guides. The exhibition will be on display through April 25. Several braidings by Jessie Catherine Kinsley, who lived from 1858 to 1938, are on display, along with Arts and Crafts paintings, furniture, and decorative arts created and collected by Oneida Community descendants. Historic Stickley furniture pieces, on loan from the Audi family, also are part of the exhibition. Jane Rich, a great-granddaughter of Kinsley’s, stared proudly at the pieces in the exhibition. Rich, 80, said she could remember seeing her great-grandmother hard at work on her braidings. “I’m terribly excited to be here because the Picker has done such a beautiful job realizing the different spaces it has. It’s so imaginative and beautiful,” said Rich. Kinsley used to make braided chair mats, Rich recalled. But she had a desire to enlarge her work, and her braidings became bigger and more intricate, such as the tapestries on display in the Picker. 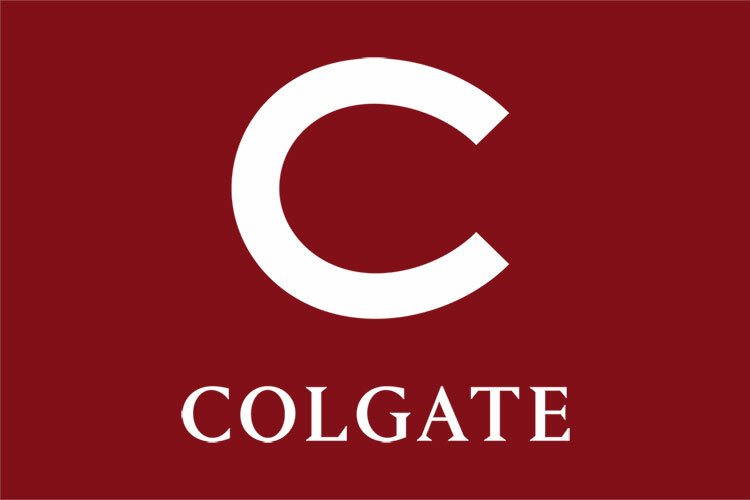 Several descendants of the community also were present during a lecture given by William Meyer, visiting associate professor of geography at Colgate. Meyer said the community strove to perfect the relationship between men and women, as well as an individual’s relationship with God. Perhaps the most controversial characteristic of the community was its belief in “complex marriage.” Noyes admonished conventional marriage and virtually “married” all male and female residents together; a religiously sanctioned version of free love. The group rejected private property and private enterprise: Community members lived together in large communal homes or in the Mansion House. Members relinquished worldly goods to the community, and received all food, clothing, housing, and education in exchange for communal labor. Though the community formally disintegrated in 1880, numerous descendants currently live in the Mansion House. Giles Wayland-Smith, emeritus professor of political science at Allegheny College in Pennsylvania, is a descendant of Noyes’s sister. He grew up in the community, and he and his wife – also a descendant – moved to the Mansion House in 1999. Wayland-Smith’s teaching interests in social movements developed out of his childhood experiences living in the community. The community is perhaps best known for its controversial marriage practices, but Meyer, in his lecture, did his best to provide a broader view of life in the community, as well its as notable economic and social achievements. The Oneida Community, Meyer said, was progressive in the sense that it envisioned a seamless connection between utopianism and environmentalism. Traditionally, environmentalists are opposed to utopianism, arguing that one should not change the environment to suit human desire, Meyer explained. But Noyes and the community believed Earth was already perfect. Even central New York weather, no matter how foul, was good. Any misgivings about the weather, Meyer said, were related to one’s character. Embracing central New York weather as unconditionally good was trying, Meyer said, but it was a belief the community upheld. That belief lent itself to the community’s economic beliefs as well. Noyes argued that communal living was more beneficial economically than letting each nuclear family live separately. Such an example, Meyer said, was heating in the winter: it was more economical to heat one mansion house rather than have the individual family pony up large sums of money to heat their home. With communal living, it was more “fun” to be cooped up in the mansion house with scores of other children and people to play with, Meyer said. Dress was also related to the weather, Meyer explained. The community costume was functional and practical for all types of weather. The inextricable link between utopianism, religion, environmentalism, and economics in the Oneida Community was only recently discovered, Meyer said. But this link is one of the most notable achievements of the community.